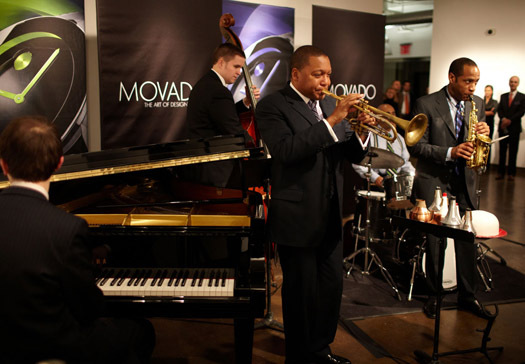 DALLAS, Dec 27, 2010 / — Hosting a fun-filled, multi-faceted cultural arts event at the Visual Arts Gallery at the School of Visual Arts in NYC on Monday, December 6, 2010, Movado honored five outstanding young artists with the Movado Future Legend Award following the ‘Night of Discovery’ celebration. The “Night of Discovery” event was held in collaboration with Derek Jeter’s Turn 2 Foundation, designed to honor ‘Jeter’s Leaders’ – Turn 2’s premier youth leadership development program, designed to promote healthy lifestyles, academic achievement, and social change activism among high school students. “The Turn 2 Foundation creates and supports signature programs and activities that motivate young people to turn away from drugs and alcohol and turn to healthy lifestyles through outlets that promote positive behavior,” said Derek Jeter. 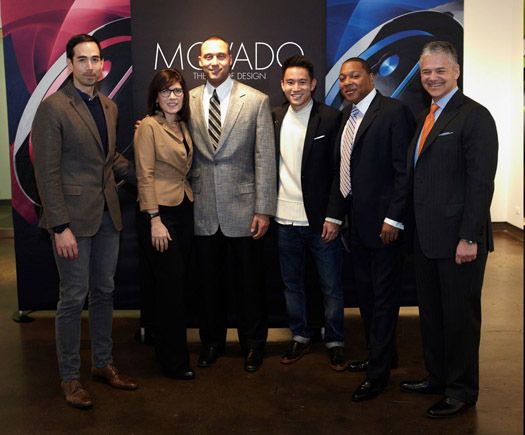 “Teaming up with Movado is a tremendous opportunity for us and we are excited that we can partner with such a world-class organization that supports our passion and commitment to excellence and the development of the future leaders of tomorrow,” added Jeter. 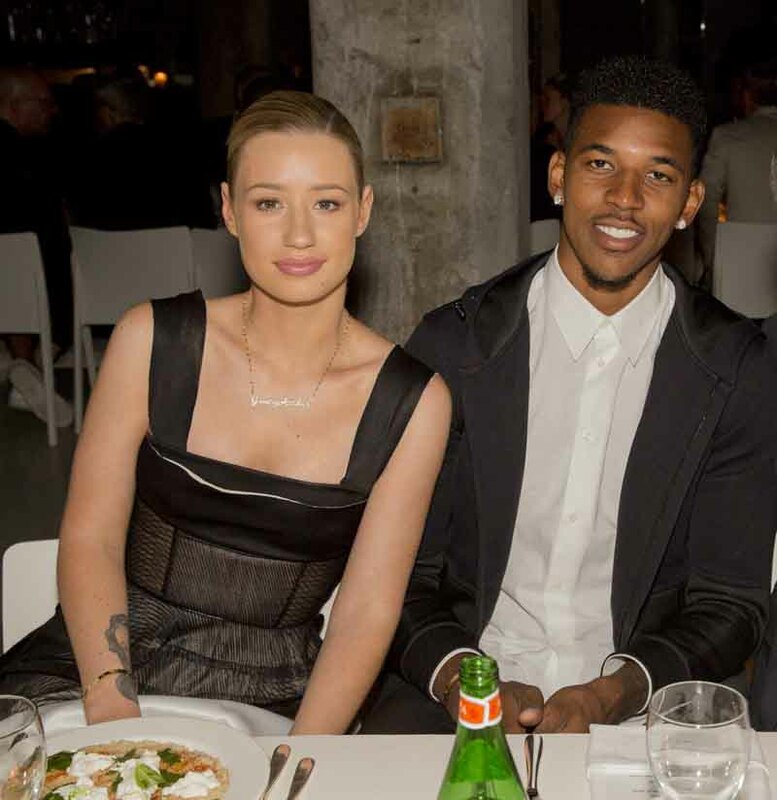 Movado was also proud to honor its 2010 Future Legends award recipients during the evening’s event. Initiated in 2006, the Movado Future Legends Program is designed to help cultivate and support a future generation of artists. The 2010 honorees included three outstanding visual artists educated at the School of Visual Arts -Jungyeon Roh, Will Varner and Kelley Hensing. Emerging musical artists Sergi Q and Katie Cole received Future Legends awards for their accomplishments in the art of music, specializing in song-writing and singing. Sergi Q’s original music was the winning song chosen to launch the exciting new Movado BOLD television campaign. Katie Cole was the first runner-up in the competition. A brand long identified with Modernism and closely associated with the performing arts, Movado has achieved a proud 125+ year history of design excellence and innovation. Movado has been a major supporter of New York City Ballet, Lincoln Center for the Performing Arts, Jazz at Lincoln Center, and The John F. Kennedy Center for the Performing Arts. Additionally, Movado has supported the Miami International Film Festival, Miami City Ballet, The Joffrey Ballet, Ballet Pacifica, and the Cooper Hewitt, National Design Museum. The Wynton Marsalis Quintet Performing at 'Night of Discovery'.